This park has three soccer fields, two softball fields, two baseball fields, a playground, covered picnic area (the pavilion can be rented for one-time events), and nature center. The park is located at 620 N Mountain Avenue, northeast of Nevada Street. Reserve the sports fields. View the aerial photo (PDF format). This park is open from dawn until dusk. 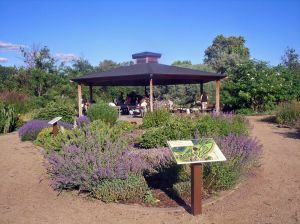 For more information on the North Mountain Park Nature Center visit www.NorthMountainPark.org or call 541.488.6606. The Nature Center is located at 620 N Mountain Avenue in Ashland.